Keeps sheets dry and comfortable when travelling. 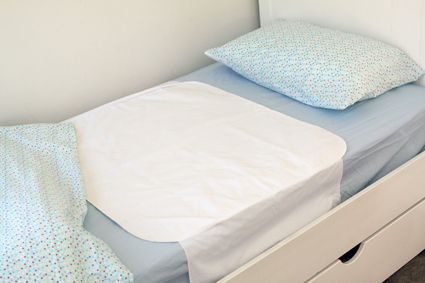 Place over your bedding for a 'just in case' solution. Makes for easy changes for sleepy parents if needed. From babies to toddlers+, it's great for home AND away when you can't or don't want to strip the entire cot/bed. 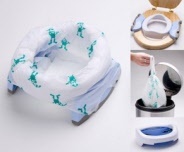 For babies; its a great solution in the cot when dribbly, sick or prone to nappy leakage. For toilet learning when travelling,there is no need to strip the whole bed and no need to change your routine. 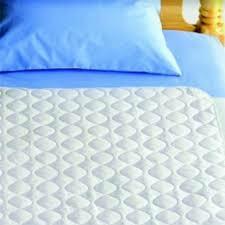 The large absorbent protector has generous flaps which tuck in under the mattress and hold it in place on top of the bottom sheet. 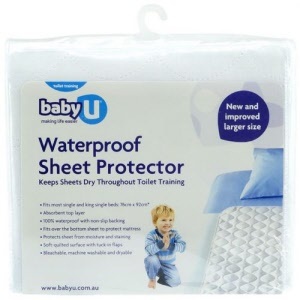 The Baby U Waterproof sheet protector is a great way of ensuring your child's bed stays clean and dry - comfort no matter where you are. For babies; its a great solution in the cot when dribbly, sick or prone to nappy leakage! For toilet learning when travelling,there is no need to strip the whole bed and no need to change your routine! The Cushie Traveller is an ideal option to keep your child in routine when travelling. Folds easily and has its own drawstring carry bag. The ultimate 2 in 1 Travel Potty. Comes with its own handy disposable liner and converts from a potty to a toilet training seat. Potette Plus Disposable Liner Refills - 10 pack. Holds the contents securely and minimises odour until you can dispose of it.